Yes, Ash. That’s exactly what I’m telling you. 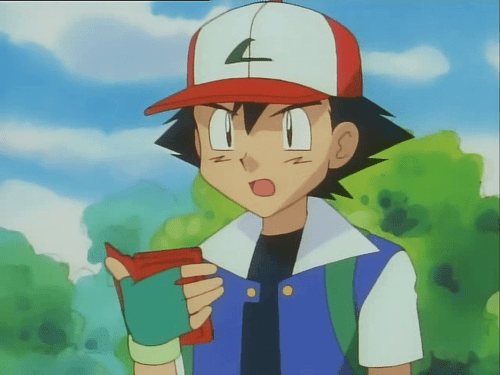 The next series of blog posts will be dedicated to building a Pokedex that can visually recognize Pokemon from the original Red, Blue, and Green (JP) games for the Game Boy. I’ve been playing Pokemon (the original Red and Blue) since I was a little kid. I love these games and I know them front to back. In fact, every year my friend and I hold the Pokethon. We drink some beer and do a speed run of Pokemon Blue as fast as we can. This past year I managed to beat the entire game in 2 hours, 46 minutes. Was I pretty happy with that achievement? You bet. But there’s always room for improvement. Next year’s goal is sub 2 hours, 30 minutes. I’m getting a little off topic here. A few years back I decided that I wanted to beat Pokemon Green. The Green version was only available in Japan, and as you might guess, all the text is in Japanese. I can’t read Japanese, but I still managed to get through the game. And I thought to myself, this is what Ash Ketchum must have felt like. Here I am, playing this game. I can’t read the text, I can’t follow the actual story of the game. But through random encounters and battles with rivals, I’m able to see and experience a lot of different Pokemon. Now, I obviously know what each Pokemon is based on their sprite images. But let’s pretend that I didn’t. How might I identify these Pokemon? And how might I easily and conveniently lookup any stats related to the Pokemon? Perhaps the most obvious strategy would be to go to Google and type in the name of the Pokemon in Japanese (character by character, according to what is on my screen), translate it, and then lookup the stats in english. But we study computer vision on this blog. So instead we’re going to build a computer vision solution. 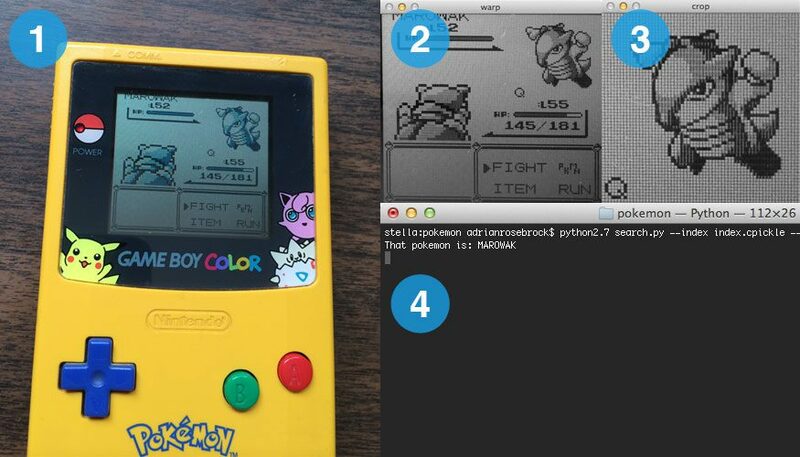 Figure 2: An example query image containing a Game Boy screen and Pokemon. If you’re anything like me, you have your phone with you wherever you go. It’s probably sitting next to you when you are playing Pokemon, just in case you get a txt or a call. And in all likelihood, your phone has a camera. We are playing Pokemon on our Game Boy (either, Red, Blue, or Green version) when we encounter a Pokemon that we do not know. We would like to identify this Pokemon, so we take out our phone and snap a photo of our Game Boy screen. We then take this picture, apply our computer vision and image search engine techniques, and we are able to automatically identify the Pokemon. Again, if you don’t believe me, just take a look at the video above. 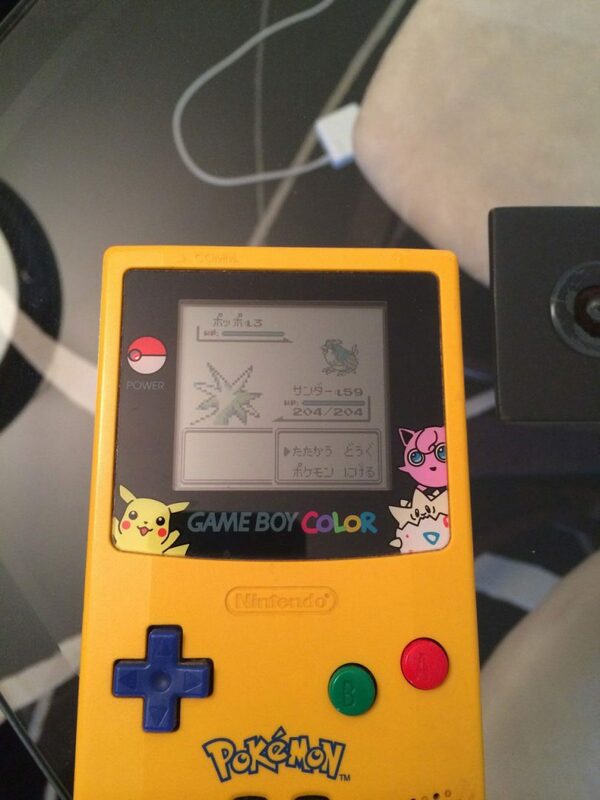 After we have our Game Boy screen, we’ll crop out the Pokemon and then describe the Pokemon. We’ll characterize the shape of the Pokemon by using shape descriptors. In this way we can abstractly represent the Pokemon using only a list of numbers (i.e. an image feature vector). Don’t worry. I’ll go through every and every detail as we work through this series. By the time we are finished, you’ll have a firm understanding of how to use shape descriptors to describe objects in images. And in this case, the “objects” will be Pokemon. Don’t want spend a bunch of time installing these packages? I have a pre-configured Ubuntu virtual machine with all the necessary computer vision and image processing pre-installed! Click here and check out the eBook + virtual machine package to learn more. Are you ready to embark on your very own Pokemon identification journey? Hi Adrian,I want to build a code which takes user input and gives output accordingly.the code should display the whole color chart,the user selects the particular color and gives a image as an input,output contains only that particular color displayed in the image,rest all color are either black or grey.How should i approach the code?Thanks in advance. In essence, it sounds like you are trying to apply color thresholding. I would suggest starting there and building the app as a command line application. You can then find a GUI framework that you like using (I’m not a GUI developer). TKinter, Qt, and maybe even Kivy would be good choices.